So I think it is more than clear that one of the greatest JOYs of my life is AppleCheeks. I love the company, the owners, the employees, my fellow ambassadors and all the incredible friends. Another great JOY is my blog and my followers/likers, and since there are 300 of you, it is time to give back! YaYaBaby has awesomely sponsored a giveaway for you fabulous people of AppleCheeks special holiday release JOY. 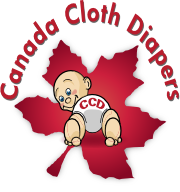 It is super cute, and a big change from any of the special diapers the have done before, but rest assured it is still an amazing quality AppleCheeks diaper. Reliable, Daddy friendly, and amazing as always. I must admit I am in love with the custom wintery-tag, I just love looking at it! and of course Evie volunteered to break in her new diaper for a festive photoshoot! Can't wait for the giveaway to end? You can buy one from Yayababy here. Yaya Baby is a retail and online store based out of North Vancouver (67 Lonsdale) and ships all over Canada. Owned by a mom of two, Janelle is the Super Picky Mom and carries only her very favourite Picky Mom Approved Essentials. 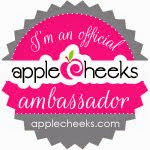 AppleCheeks are definitely Picky Mom Approved! Stop by to see what else gets their Official Yaya Baby Stamp of Approval! What the Heck am I up to now?